Ideal for marking various films that are to be X-rayed with serial numbers, dates and exposure periods, film position markings, etc. The marker has no bladder and does not contain any vials, thereby avoiding the risk of liquid spillage. Vivid green markings become observable under normal light conditions. These markings are not luminous in the dark, but will be visible on radiography film. The markings have a spectral peak at 5600 Angstroms. Normal incandescent or fluorescent white light may be used to alter the non-radioactive emissions. 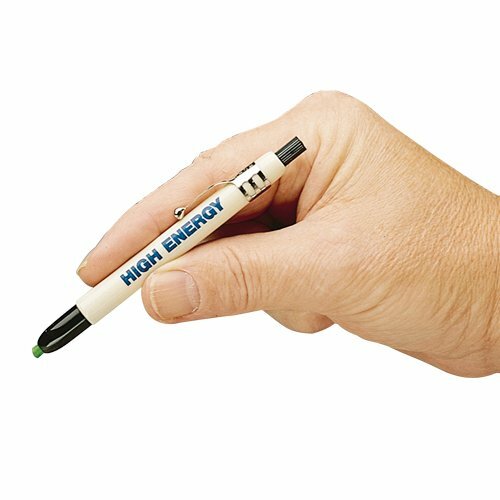 Energy emissions are 3 to 4 minute long and leave a marked impression without overexposure like generic products do.